How these researchers tried something unconventional to come out with a smaller yet better Image Recognition. Images are nothing but a collection of pixel values and this idea was leveraged by the Computer scientist and researcher to build a Neural Network which is an analogy of the Human Brain and achieve exceptional results (sometimes even better than Human level accuracy). Convolution Neural Networks are very similar to ordinary Neural Networks as they are made up of neurons that have learn-able weights and biases. Each neuron receives some inputs, performs a dot (scalar) product and optionally follows it with a non-linearity. The whole network still expresses a single differentiable score function, from the raw image pixels on one end to class scores at the other. And they still have a loss function, to calculate relative probability (e.g. SVM/Softmax) after the last (fully-connected) layer and all the tips/tricks developed for learning regular Neural Networks still apply. In recent times with the rise of data and computational power, ConvNets have been extremely successful in identifying faces, different objects and traffic signs apart from powering vision in robots and self driving cars and a lot more. 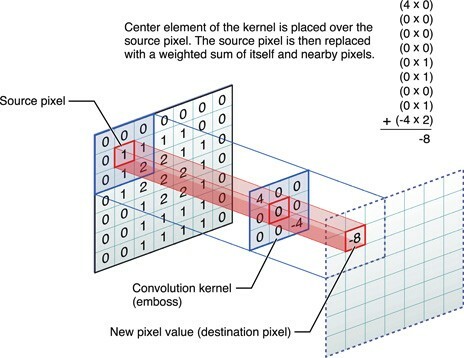 Most modern convolution neural networks (CNNs) used for object recognition are built using the same principles: Alternating convolution and max-pooling layers followed by a small number of fully connected layers. Now in a recent paper it was noted that max-pooling can simply be replaced by a convolution layer with an increased stride without loss in accuracy on several image recognition benchmarks. Also the next interesting thing mentioned in the paper was removing the Fully Connected layer and put a Global Average pooling instead. Removing the Fully Connected layer may not seem that big of a surprise to everybody, people have been doing the “no FC layers” thing for a long time now. Yann LeCun even mentioned it on Facebook a while back — he has been doing it since the beginning. As mentioned, the next thing is removing the spatial pooling operation from the network, now this may raise few eyebrows. Let’s take a closer look at this concept. The spatial Pooling (also called subsampling or downsampling) reduces the dimensionality of each feature map but retains the most important information. For example, let’s consider Max Pooling. In case of Max Pooling, we define a spatial window and take the largest element from the feature map within that window. Now remember How Convolution works (Fig. 2). Intuitively the convolution layer with higher strides can serve as subsampling and downsampling layer it can make the input representations smaller and more manageable. Also it can reduce the number of parameters and computations in the network, therefore, controlling things like overfitting. To reduce the size of the representation using larger stride in CONV layer once in a while can always be a preferred option in many cases. Discarding pooling layers has also been found to be important in training good generative models, such as variational autoencoders (VAEs) or generative adversarial networks (GANs). Also it seems likely that future architectures will feature very few to no pooling layers. Considering all of the above tips and tweaks, we have published a Keras model implementing the All Convolutional Network on Github. For Multi GPU implementation of the model, we have a custom function that distributes the data for training into the available GPU(s). The computation is done on the GPU and the outputs are merged on the CPU to complete the model. #The next layer is the substitute of max pooling, we are taking a strided convolution layer to reduce the dimensionality of the image. # The next layer is the substitute of max pooling, we are taking a strided convolution layer to reduce the dimensionality of the image. # Fit the model on the batches generated by datagen.flow(). The above model easily achieves more than 90% accuracy after the first 350 iterations. If you want to increase the accuracy then you can try much more heavy data augmentation at the cost of computation time. Alternatively, if all you want is to use a model trained on ALL-CNN (described above), sign-up for Mateverse, and you’ll be able to train a fresh model instantly. If the above implementation has helped you, and you want to share your thoughts, tweet us @matelabs_ai. Or, if you want to keep yourself updated with our learning, sign up for our newsletter. We’re trying to enable Machine Learning and Deep Learning to one and all. Irrespective of whether a user knows how to code or not.